Chair Jim Davnie devoted the second hearing of the House Education Finance Committee to the strengths and challenges of metropolitan schools, Greater Minnesota schools and charter schools. Dr. Fred Nolan, MREA Executive Director, was asked to provide 20 minutes of commentary and information from the perspective of Greater Minnesota education. View presentation slides for charts, data and additional information. Rural schools are the center of their community. They are what brings people together. 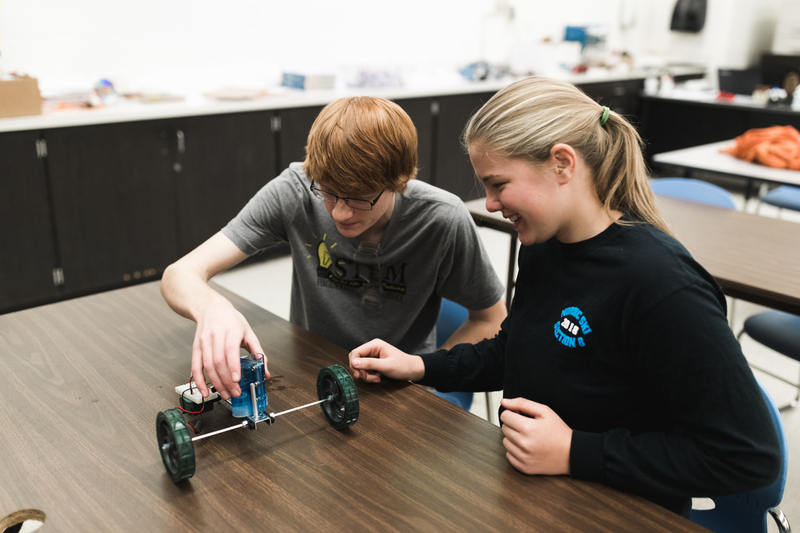 The growth of robotics competitions in rural communities demonstrate how multi-generations come together to support student endeavors. Schools embody community pride. This is why state tournaments matter so much. They are also the economic engine of our smallest communities. Why Rural Schools Matter puts you in rural communities and demonstrates these characteristics clearly. People fill multiple roles to invest in local kids. Rural communities thrive because of the people working in their schools, from bus drivers to superintendents. Teacher take on multiple subjects, coach, and despite lower salaries settle, teach multiple generations and raise their children in rural communities. Good teachers are memorable across generations and become leaders of communities. MREA recognizes four Educators of Excellence. Rural schools are flexible and adaptable. This is not only because of their size, but also their ability to accomplish so much through relationships. An example is the phenomenal growth of concurrent enrollment (dual credit). Southwest Minnesota State University provides the most concurrent enrollment courses of any Minnesota college throughout Greater Minnesota. This is now threatened by HLC credentialing—but it is not all doom and gloom—there is work is being done. Rural schools rely on state formula funding. When accounting for inflation, this funding is currently about $600 less than it was 2003 when the state promised in 2003 to fund schools with the formula. Rural schools cannot make this up through operating referendums, as metropolitan schools do, because of significantly lower household incomes and lower property values than our metropolitan schools as seen in this table. Rural schools also have greater challenges gaining voter approval for 21st Century facilities for students. Ag2School Credit provides much needed assistance for farmers in 287 school districts. But still local property tax payers provide 94 percent of all school bonded debt annual payments, as shown by the chart to the right. That’s a total of $510 million annually. Rural schools celebrate when 50 percent of bond elections pass while metro schools routinely pass 85-100 percent of bond questions. Providing up-to-date, technologically ready facilities for rural students is a major challenge for Greater Minnesota. Learn more. Teacher shortages threaten rural communities to the core. Teachers are the strength of rural schools and communities. Currently, 1,400 teachers are retiring annually in Minnesota and 500 fewer teachers graduate than five years ago. Rural schools are called to serve a rising number of students with specialized needs. Rural schools need to prepare graduates for diverse futures. Rural high school graduates go to four-year colleges, two-year colleges, the military, certification programs, and directly into industry with on-the-job training. This wide variety of futures creates a mismatch between student choices, their state required personal plans, the skills our rural employers want in our graduates and Minnesota’s “one-size fits all” graduation required courses and standards. The result is too many unengaged high school students.Greater Minnesota education needs flexibility and choices for students with equity of standards. Learn more. Rural schools also need increased funding for CTE instruction and collaborative planning among K-12, higher education and industries. Chair Davnie’s first committee hearing included a presentation by the Minnesota Department of Education that put a focus on the big picture of state education funding and how the formula has fallen $583 per pupil behind since 2003. Devoting his second hearing to the strengths and challenges of schools across the state seems to indicate he’s building a case for a large spending target for his committee this session.